Hi I’m Zuzana, a sports and musculoskeletal physiotherapist, and Pilates instructor. I have over 15 years’ experience and enjoy working with sporting injuries and with sporting teams. I have travelled the world with the Australian Paralympic Ski team and have 10 years’ experience working in Football, most recently spending 2 years in AFL at North Melbourne Football Club. 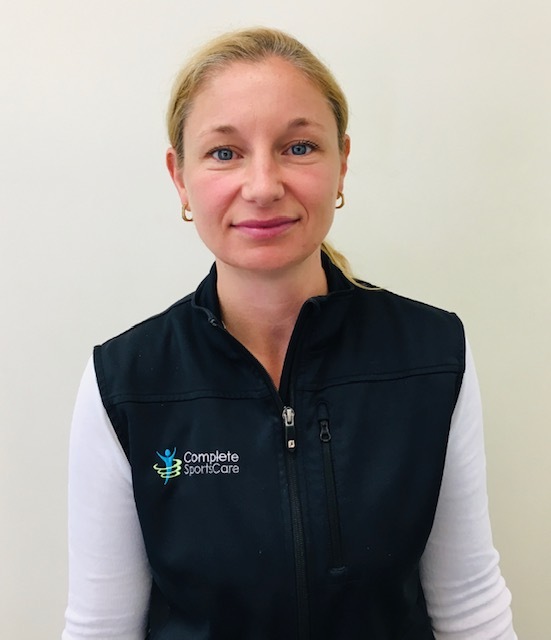 Together with my time at Complete Sports Care, I work part-time as a clinical researcher at LaTrobe Sports and Exercise Medicine Research Centre. I have published in peer-reviewed journals in the areas of groin, hip and knee pain and authored a chapter for the textbook Clinical Sports Medicine which is used by Sports Doctors and Physiotherapists.